Cloudy. A stray shower or thunderstorm is possible. High 72F. Winds SE at 5 to 10 mph..
Cloudy skies early followed by scattered showers and thunderstorms later during the night. Low 52F. Winds E at 5 to 10 mph. Chance of rain 60%. 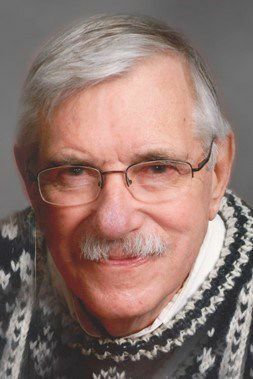 Fred Carl Breisch passed away Tuesday, Feb. 5, 2019, at the Neighbors of Dunn County. Fred was born Jan. 20, 1934, in Ann Arbor, Mich., to Carl and Leona (Schlee) Breisch. Fred graduated from Ann Arbor High School in 1951, then attended the University of Michigan, where he earned a bachelors and a masters degree in mathematics. Fred began his teaching career in mathematics at Lakeland College in rural Sheboygan, Wis. He married Martha Reineking in 1959. They had two children together, David and Sarah. In 1966, he moved to Menomonie, taking a position as an associate professor in mathematics at UW-Stout. While at UW-Stout, he served several years as chair of the faculty senate. He also met and married Margaret Jess. He retired from UW-Stout in 1993. Fred was an avid bridge player, earning the rank of life master. He managed the Red Cedar Duplicate Bridge Club until 2015. Fred was an avid gardener. He also enjoyed reading books on history and politics. He loved to travel, especially to Germany ,he land of his ancestors. On Tuesday nights in the summer, Fred would faithfully attend the Ludington Guard Band concerts. Fred was a dedicated fan of his Alma Mater’s sports teams, The University of Michigan. Go Blue football! He also loyally cheered on the Detroit Lions and the Tigers. Fred is survived by Margaret, his wife of 40 years; children, David (Marge) Breisch of Plymouth, Wis.; and Sarah (Tom) Bell of Sheboygan Falls, Wis.; and five grandchildren, Richard Breisch, Rachel Breisch, Kara Bell, Ryan Bell and John Bell. A gathering in Fred’s memory will be held from 2 p.m. to 4 p.m. Saturday, Feb. 16, at Olde Towne in Menomonie. A celebration of life service will be at 4 p.m. Saturday at Olde Towne, with a reception after the services. In lieu of flowers, memorials can be sent to the Stout University Foundation or the Michigan Education Fund. Olson Funeral Home in Menomonie is assisting the family. To share a memory, please visit obituaries at www.olsonfuneral.com.